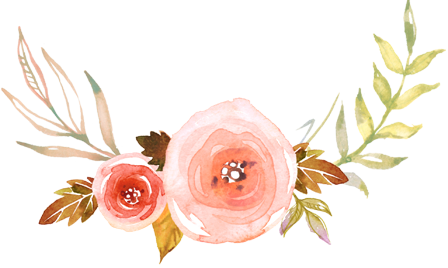 If you’ve been reading my blog for the past few years, you know how passionate I am about breastfeeding. 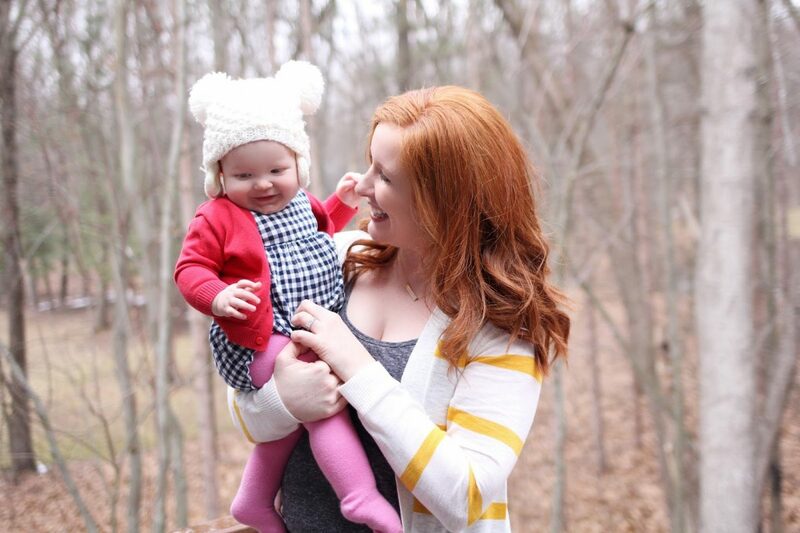 One of the most asked questions I receive about breastfeeding all revolve around pumping. How I pump, when to pump, how to get baby to take a pumped bottle etc. 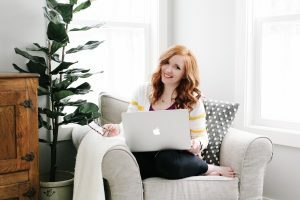 I currently am self-employed and do not work outside of the home…but when Hudson was a baby I worked full time and pumped three times a day at work. So I know how hard it is! 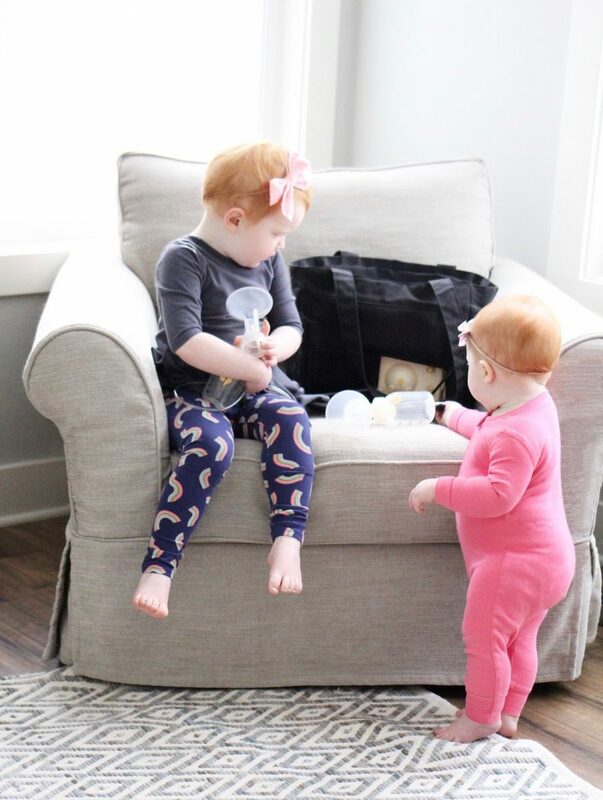 Most Monday mornings my in-laws watch Sadie and Belle for me while I take Hudson to school and then sneak away to get some work done, which means I need to pump a bottle for Belle. My sweet girl will be ONE next week, but is still breastfeeding like a CHAMP. 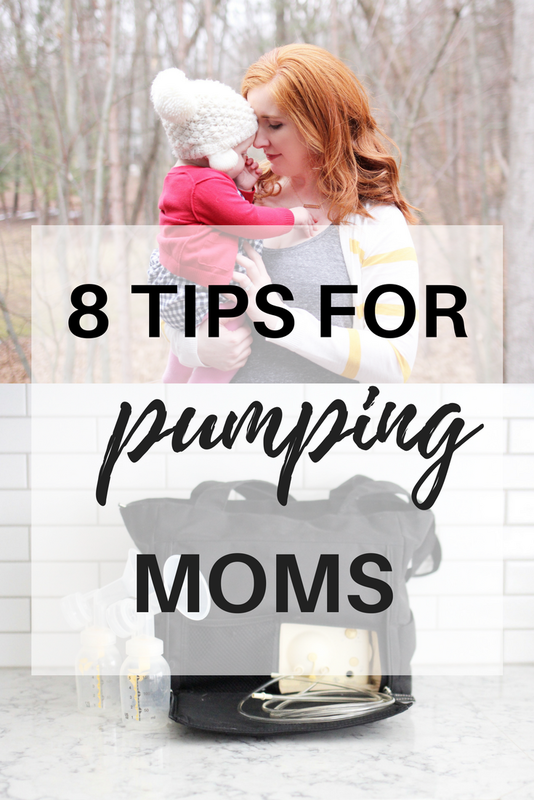 So today I thought I’d share some of my tips for pumping mamas. I think pumping is tough and applaud any mom that pumps milk for her baby! But remember, my philosophy has and always will be: fed is best. No matter how you feed your baby, you are doing a good job. First, let me say that I’m not the biggest fan of pumping. It’s a little awkward for me (even with baby #3! I prefer to breastfeed whenever possible. But when I had Hudson I worked full time, so pumping was a necessity. And with the girls, I’ve had to travel, or simply just get away for a little bit. So you have to first get over the awkwardness. Like so many aspects of motherhood, you just have to accept the weirdness and move on. Pumping takes a lot of work, but it’s worth it. 1. Invest in quality supplies. You’ll be using your breast pump and accessories a lot, so make sure you invest in items that will last. Did you know that you may be eligible for a breast pump through your insurance? 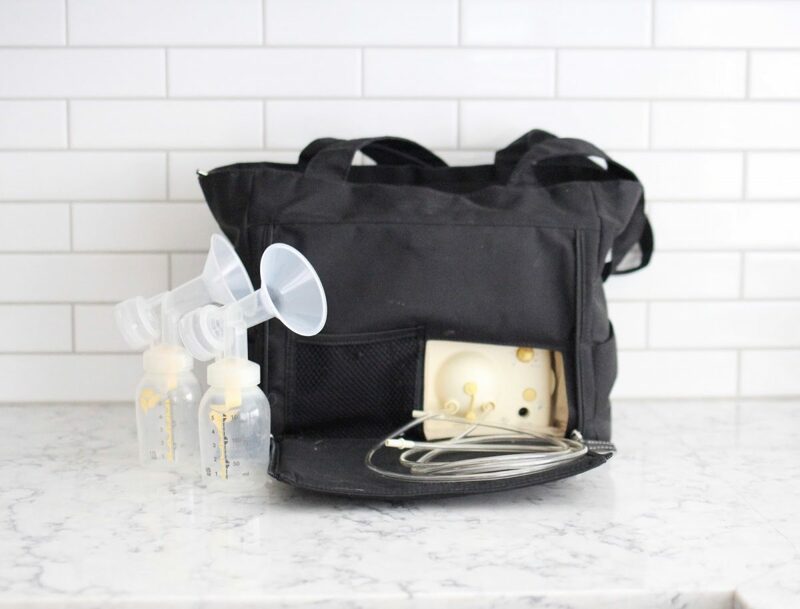 Aeroflow Breastpumps is a great resource for pumping moms to help you navigate which pump to get and which pump you may qualify for with your insurance. They are a Durable Medical Equipment (DME) provider that specializes in helping pregnant and nursing women qualify for their breast pump through their insurance and the Affordable Care Act. Which means they do all the work for you, and at no cost to you. Aeroflow Breastpumps has helped mothers across the country receive maximum coverage and reimbursement. For all three of my children, I have used the Medela Pump in Style Advanced and it is GREAT! I have the “on the go tote” which comes in a black bag that is easy to take to and from work. It’s also great when you have to travel without your little one. My pump came with a small insulated cooler to store breast milk. When I was working I would take my pump to work every day and then home with me at night. You can learn more about the Medela Pump here, and it is one of many breast pumps available through Aeroflow Breastpumps. 2. Purchase extra pump parts. Make sure you have extra breast shields, bottles, valves, tubes, everything! You never know when something might tear or get dropped down a drain. 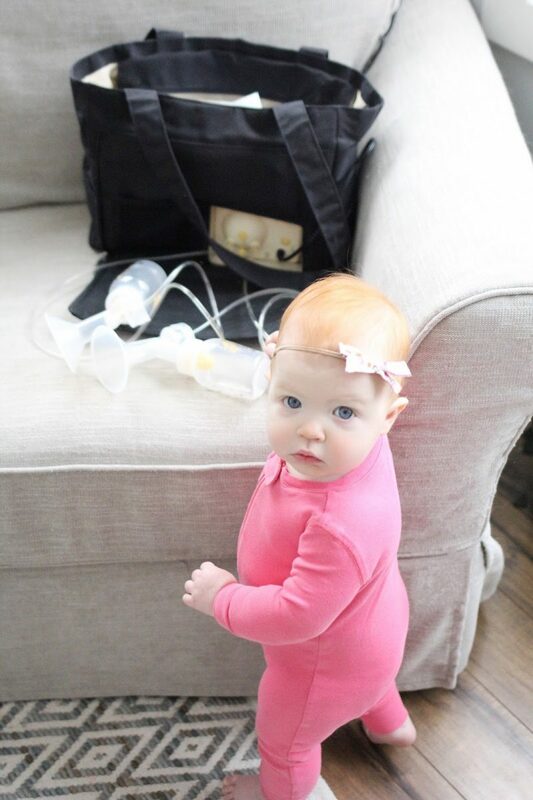 Aeroflow can help you with breast pump accessories too! 3. Create a milk stockpile. I started pumping once a day when Hudson was around 4 weeks old. 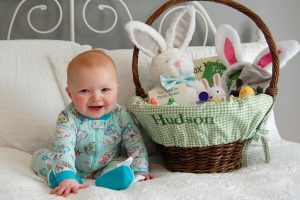 I would get up in the morning with him, nurse him, and then attempt to get him down for a nap around 9:00 a.m. Then I would pump…usually it was 30-60 minutes after I finished feeding him. For me, I found that it was easiest (and I would get the best results) if I pumped in the morning. Those first few weeks I would pump 2 ounces or so….and it was very discouraging. However, once your body gets used to this “extra” feeding session you will start to make more. Once Hudson was 10 weeks old I could usually pump between 4 and 7 ounces each morning. Clear out some room in your freezer for all of your milk! To store the milk I use Medela Pump and Save Breastmilk bags. Make sure you include the date the milk was pumped as well as the ounce amount. It is a good idea to save milk in 2 or 3 ounce quantities. Pumping once a day for several weeks is a great stress-free way to build up your stockpile for when you return to work or have a big trip planned! The stockpile is also important because some days you may not pump enough to send with your baby. This does not mean you are not making enough milk for him…it’s just that your baby is more efficient at drawing milk out of the breast than your pump is. 4. Look at a picture of your baby while you pump. If you are having difficulty with let down, I found it helpful to look at a photo or video of my baby while I pumped. Now that I mostly pump from home (and not at work) I usually have a kid or two in my lap watching me pump. Or pulling at the tubes. #nothelpful I have a friend that recorded a video of her baby breastfeeding and she would watch it each time she had to be away from him and pump. I thought that was a great idea! 5. Keep your schedule consistent. If you typically feed your baby at 9am, then plan to pump at that time too. My typical routine right now is to breastfeed Belle as soon as she wakes up in the morning, which is anywhere between 5:45 and 6:30 a.m.. If I plan on being away from her for her next feeding, I’ll typically wait until it’s almost time for me to leave to pump. That way I have a fresh bottle for her that doesn’t need to be re-heated, and my body is on my typical schedule. She’s been breastfeeding for almost a year, so even if I have to skip a feeding my body is pretty accommodating. The same thing could not be said if she was two months old. If I skipped a feeding then I would have had issues with engorgement or leaking. So pay attention to your body and try to keep your schedule consistent. 6. Do not cry over spilled milk. Or milk that has to be thrown out. Milk will be thrown out for a variety of reasons when you are a pumping mom. Get over it. I used to send Hudson to daycare with four bottles. It takes some experimentation to learn how much milk to send with your baby. At first I over packed his bottles, just to make sure he had enough. Ask your daycare provider or whoever is watching your baby to record how much your baby drinks at each feeding and make sure you know your their policy on breast milk. The daycare Hudson attended will discard milk from a “used” bottle after one hour. That means, any milk Hudson did not drink from that bottle in one hour was dumped. This was so frustrating for me at first. That milk is like liquid gold and they are dumping it down the drain!!!! 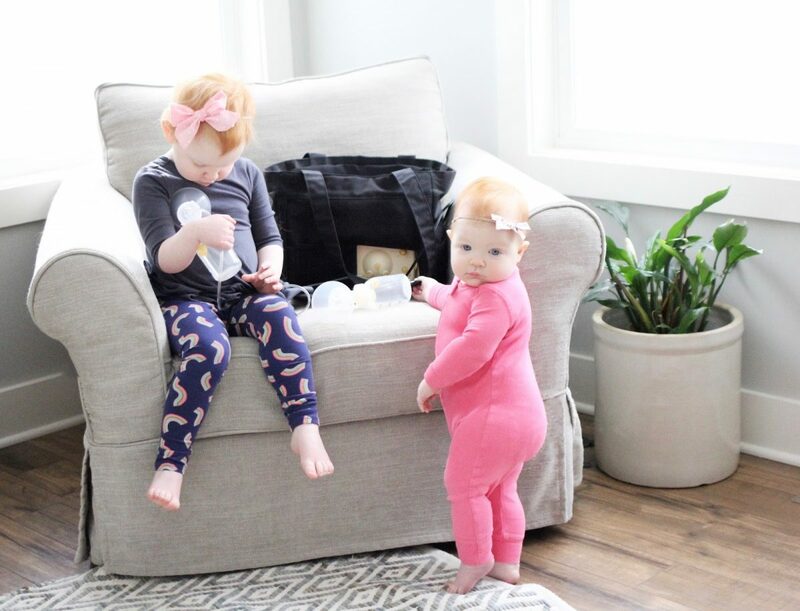 You’ll want to try and pack just what your baby drinks…..but if your baby is anything like mine, it can vary from day to day. Hudson usually drank anywhere from 3.5 to 5 ounces at a time at daycare. So I would send him with 20 ounces….and a few were thrown out…I just had to get over it! Since I had a large stockpile of frozen milk, I could dip in to it if I do not pump enough. I typically pumped between 15 and 20 ounces a day at work. My frozen stockpile allowed me to send Hudson to daycare with 20 ounces, regardless of how much I pumped the day before. 7. Pump on the weekends too. I know you may feel you need a break, but continuing to pump once a day during the weekends or any day you are home with your baby will help you maintain your stockpile. 8. Just like with breastfeeding, getting enough to eat and drink is very important to your milk supply! So the same applies when you are pumping. Whenever you are away from your baby make sure you eat enough protein and drink plenty of water. 1. Find a location to pump. Did you know that employers with more than 50 employees must by law provide pumping mothers with reasonable time and a private place, not a bathroom, to pump? So talk to your employer about where and when you can pump with privacy. I was lucky because I was able to pump in my office. I purchased a curtain rod and curtain to cover my indoor window for privacy. When I returned to work I made sure to let my co-workers know I was not to be disturbed when the curtain was drawn. At first I felt awkward, but really, no one cared! 2. Pump as soon as you get to work. This is usually the most stress free time of the day. Plus, you have the most milk in the morning. 3. Set up a pumping schedule. Like I mentioned before, I pumped three times a day at work: 8:00 a.m., 11:00 a.m, and 2:00 p.m. The whole process of setting up, pumping, and washing the pump parts takes about 15 minutes. I’ve put my pumping sessions in to my work calendar so that the time is blocked off…and so that I remember to pump! It is also helpful to set up an automatic reminder in your calendar or on your phone so that you don’t accidentally forget to pump. 4. Find a space to clean pump parts. 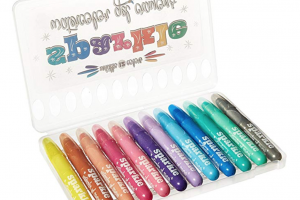 You can clean them after each use, or purchase multiple parts so that you can clean them at home. 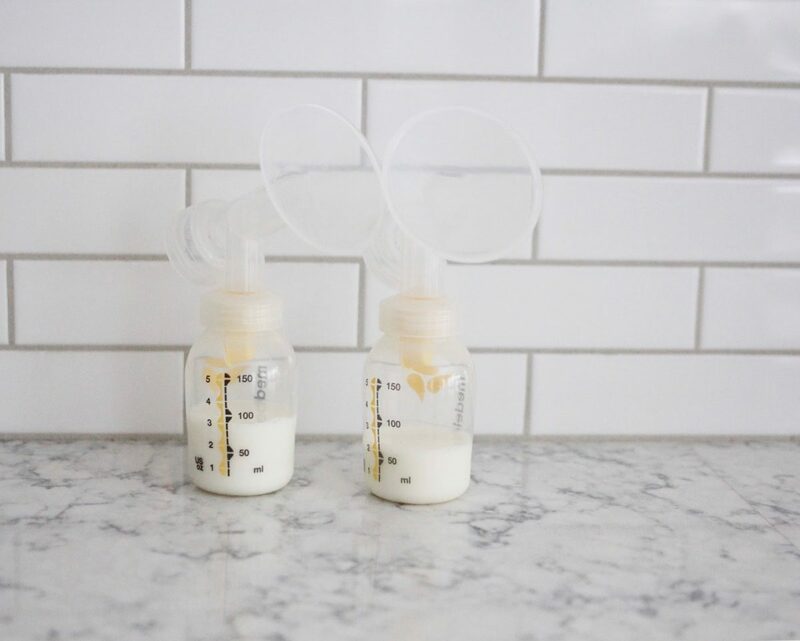 Breast milk is good for 4 hours at room temperature, so technically you can pump twice using the same parts without washing them in between as long as you pump within that time frame. Or, if you have access to a refrigerator, you can store your pump parts in the fridge in between pumping sessions and then take them home to clean. I had two sets of parts and ended up using one set for the first two pumping sessions, then washing them in hot soapy water in my office kitchen, setting them to dry in my office, and then using my second set for my final pumping session. I wasn’t comfortable with storing the parts in my office refrigerator because anyone would have had access to them. I know not everyone will have such a great set up…but work with what you have! If you do not have the ability to wash your pump parts you can also purchase some steam bags to sterilize your pump parts in the microwave. 5. Milk storage. I stored my pumped milk in my work refrigerator in a small cooler that came with my pump. No one even knew it was in there. If you do not have access to a refrigerator you can store your milk in an insulated cooler with ice packs for up to 24 hours. Then just pop it in the refrigerator when you get home for the day. Aeroflow Breastpumps makes it easy to see if you qualify for a breast pump through your insurance! They can assist with filing through your insurance, figuring out what pumps you can get through your provider, help you make the best decision for your needs, and ship your pump to you for free! Visit their site to sign up and a breast pump specialist will contact you to discuss your options. 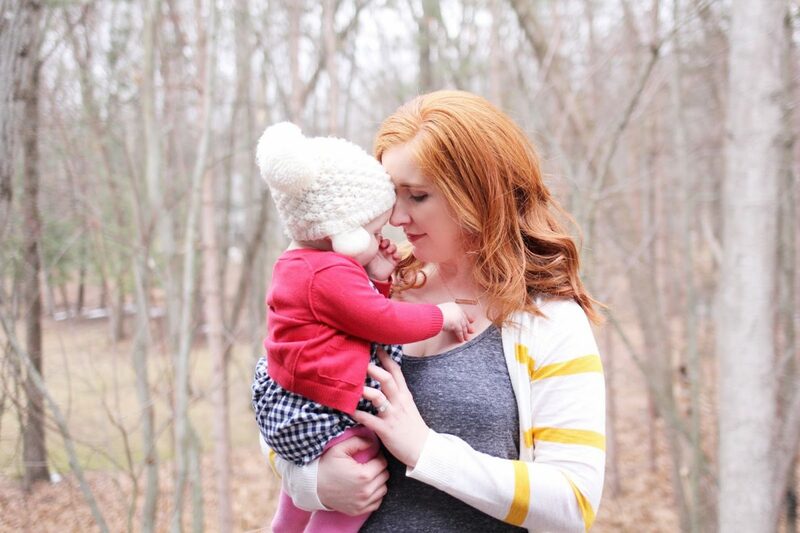 I partnered with Aeroflow Breastpumps for this post but all opinions are my own. I exclusively pumped for a year with my oldest bc she refused to latch. Oh the schedule! That really helped my supply and living off of water, lactation cookies and old-fashioned oatmeal. I became an over-supplier, pumping up to 60 oz per day…my daughter would drink no more than 25 ounces. My freezer couldn't hold the milk which lead me to finding a mom who had a double mastectomy through a local Facebook group. I was able to donate exclusively to her for 7 months. Me and my pump had a love/hate relationship. I was relieved my youngest refused the bottle and I didn't have to pump any for her. Wonderful post! 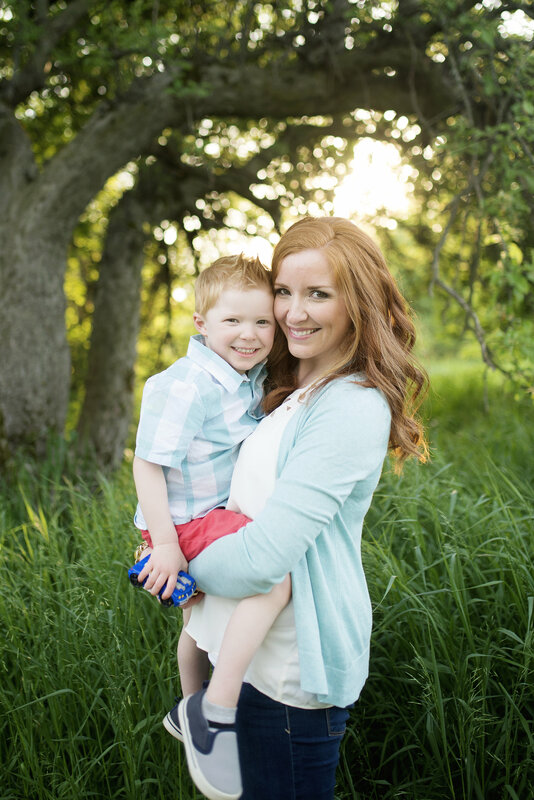 It is so important for mothers to support mothers and share helpful hints and stories. You are a wonderful advocate for breastfeeding and I am so proud of what you have done for your children and for other struggling mothers. Pumping with "little helpers" is a challenge but it is good for your children to see the process. You have normalized and role modeled breastfeeding for your children and they will likely continue the breastfeeding tradition with your future grand babies! !